Ever since Disney and LucasFilm have joined forces I've been seeing a ton of fun mash-up art hit the internet. I'll post some from time to time. 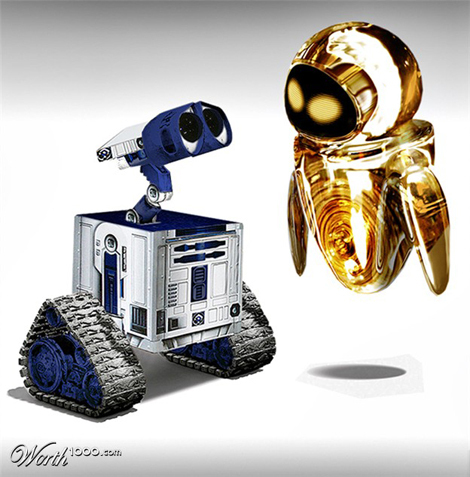 Here's one that awesomely combines Pixar's Wall-E with Star Wars' R2-D2 and C-3PO. It was created by Worth1000 user DaemonDCLXVI. What do you think of the design? !